Westchester County family lawyer Joan Iacono has always been a hands-on kind of person. She finds a way to accomplish what she needs to accomplish, whether in a court of law or in her private life. Joan Iacono was born and raised in Westchester County, where she has been a lawyer for 21 years. But, the majority of her experience is in private practice in New York City and Bronx County. From 1988 to 1992 she served as Principal Court Attorney to the Chief Judge of the Bronx Family Court. There she helped draft court opinions, assisted in trial management and courthouse management, and conferenced cases with litigants and lawyers to effect settlement. The experience was valuable for Iacono's private practice, as it gave her a substantial insight into the judicial side of family law and the decision-making process in New York Family Court. As a result, she is better able to advise her clients and develop successful strategies. She complements her staffing with paralegals, forensic experts, and per diem attorneys as needed. 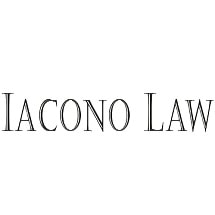 Joan Iacono's practice is almost evenly divided between real estate and family law. An accomplished and aggressive litigator, she is known as a "barracuda with a heart." "First, I'll try to negotiate a quick and fair settlement for my clients," said Joan Iacono. "Then we'll litigate if we have to."